Follow us on twitter for updates on the app. Define data model, API operations, payloads, parameters, headers and responses in a consistent and elaborate way. Unlimited content hierarchy and effective navigation make your documentation well organized and easy to read. Don't duplicate yourself; use common parameters and responses, organize them into the common patterns. Generate Swagger spec from the code, import it to Speca, that will be a perfect starting point. Extend CI workflow and your documentation will always stay in sync with the code, thanks to our public update/merge API! Start using the API before you wrote any code, our mock server matches request details to the specific operation and responds with a data generated dynamically according to the response schema. Full version lifecycle support - make a draft, publish, freeze by marking readonly and archive. Utilize all the simplicity and power of CommonMark (Markdown) in general documentation blocks and in any description field. 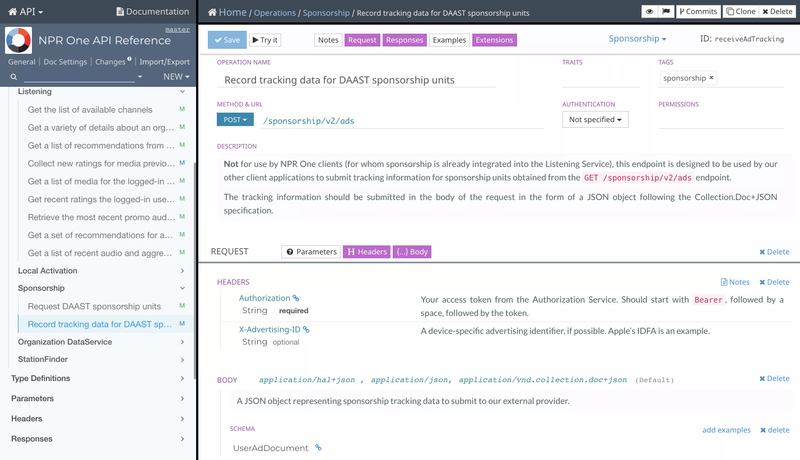 Quickly check the response straight from the API designer; Make documentation truly interactive by enabling console. Produced static HTML version is accessible by the search engine crawlers (public specs only). 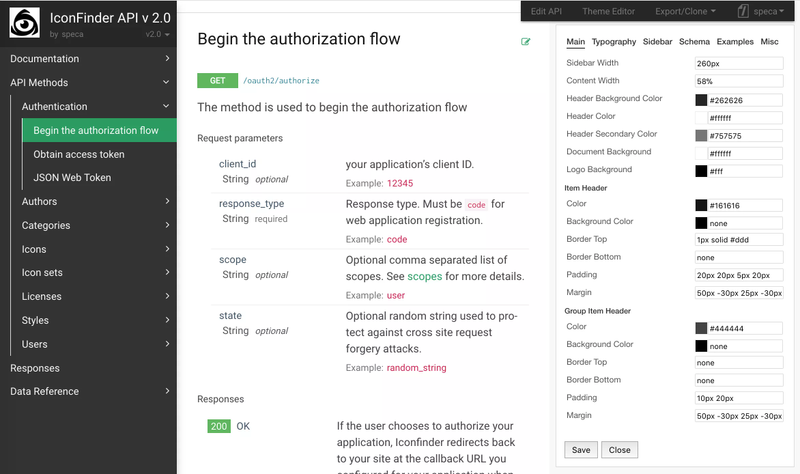 At the moment Speca supports Open API 2(aka Swagger) with few minor limitations, and adds a whole bunch of extra features on top of it, such as more complete JSON Schema support, Traits, global parameters and responses, CommonMark, unlimited content structure and thought-through navigation. You also may find API Transformer tool useful if you have spec in a different format. * Most recent Open API 3 format support in on the way. 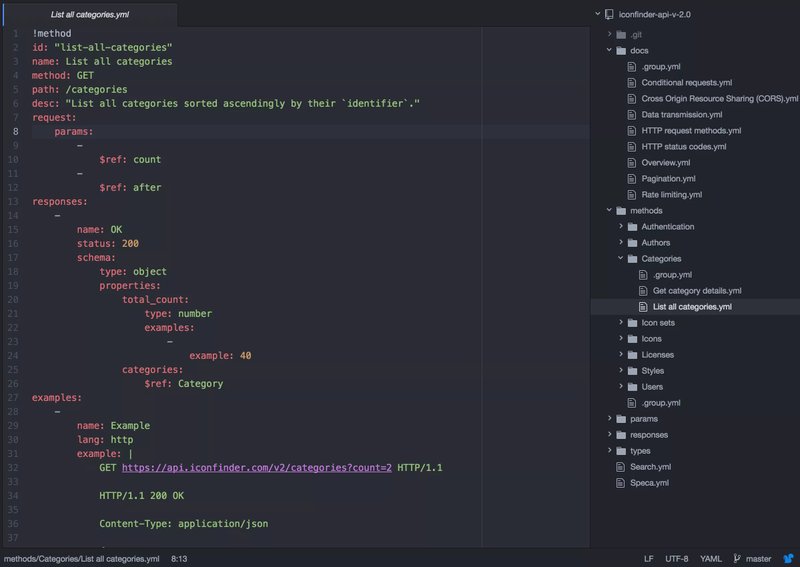 Produce Postman collection and move your API testing to the next level or... enable whole other API world by exporting your spec in Swagger2 or OAS 3 (experimental) format. We store content in our own format aimed to be as close to OAI as possible. We also provide Git interface to collaborate on the specification.